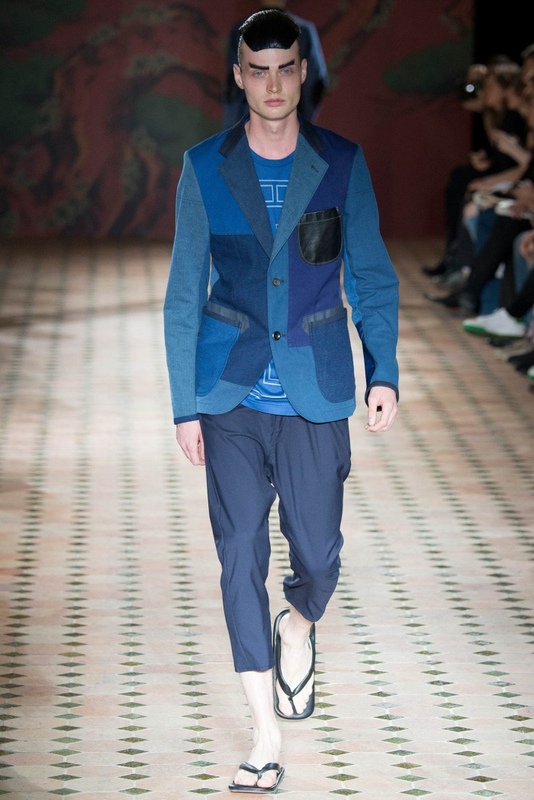 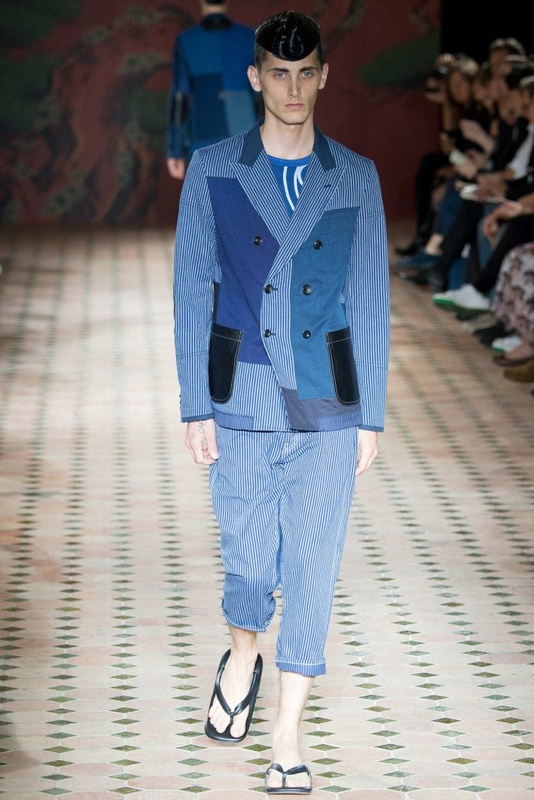 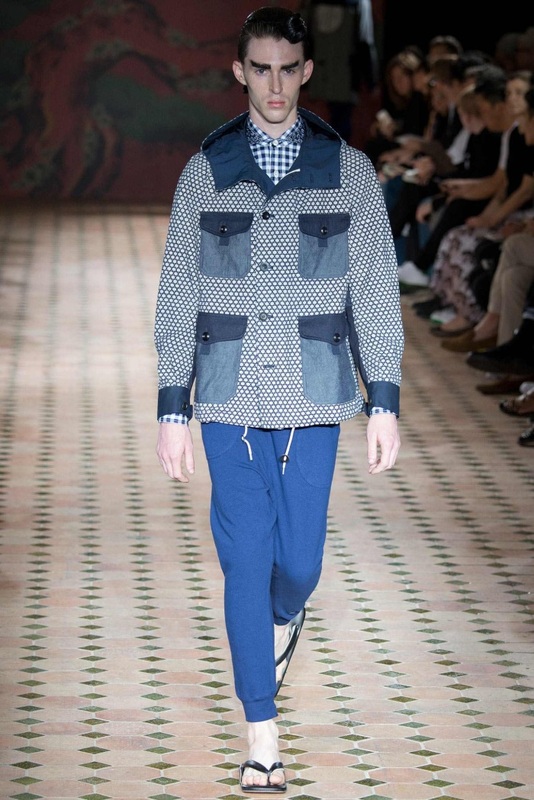 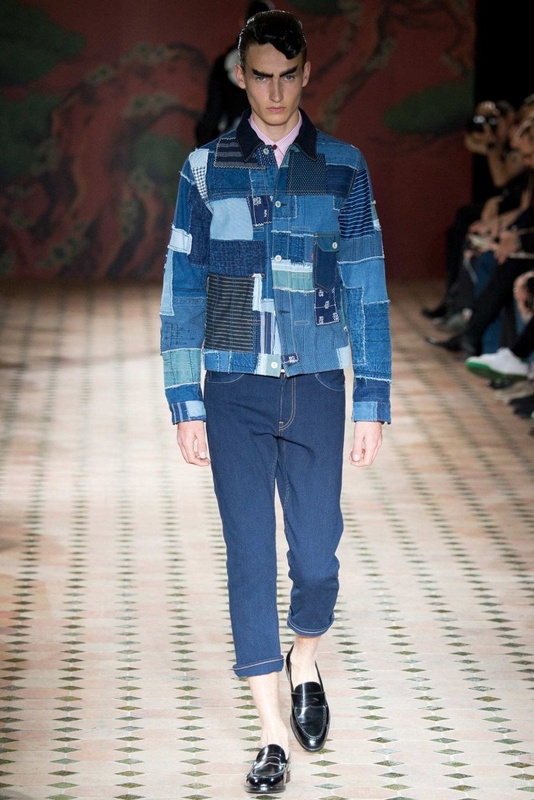 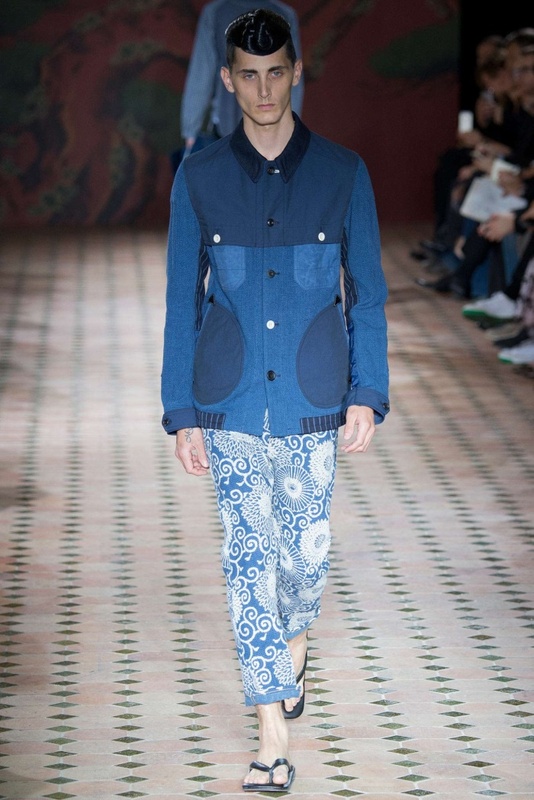 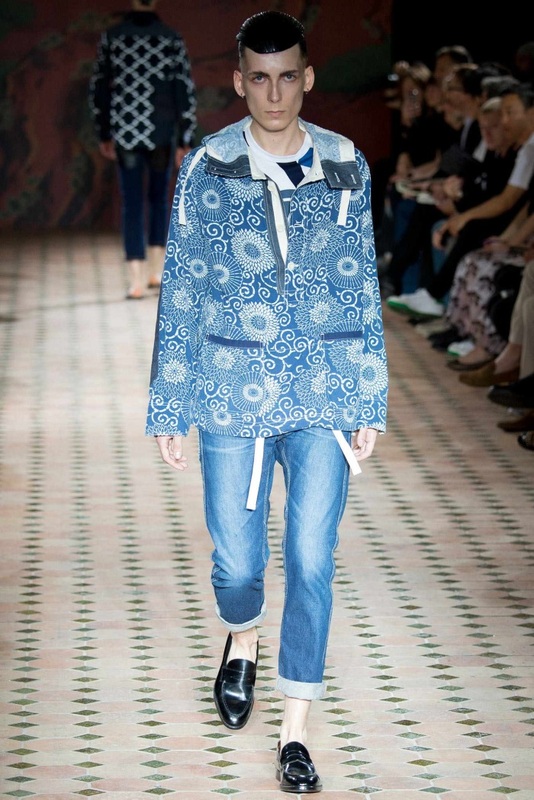 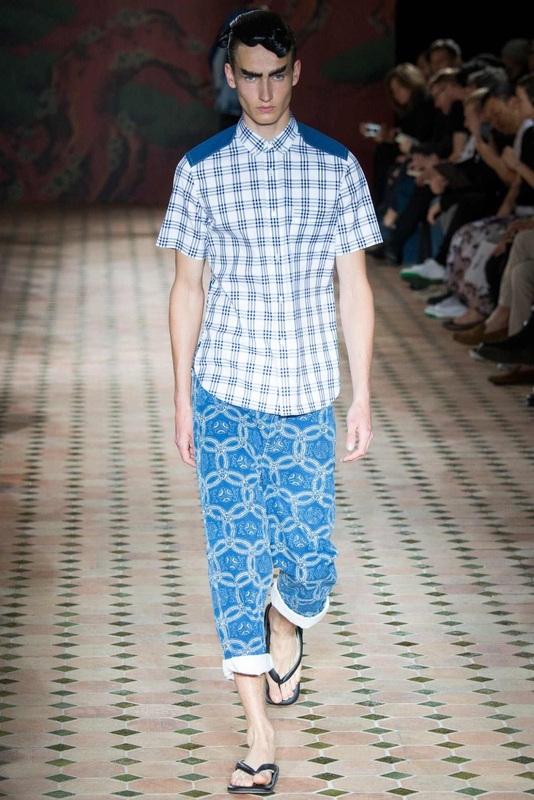 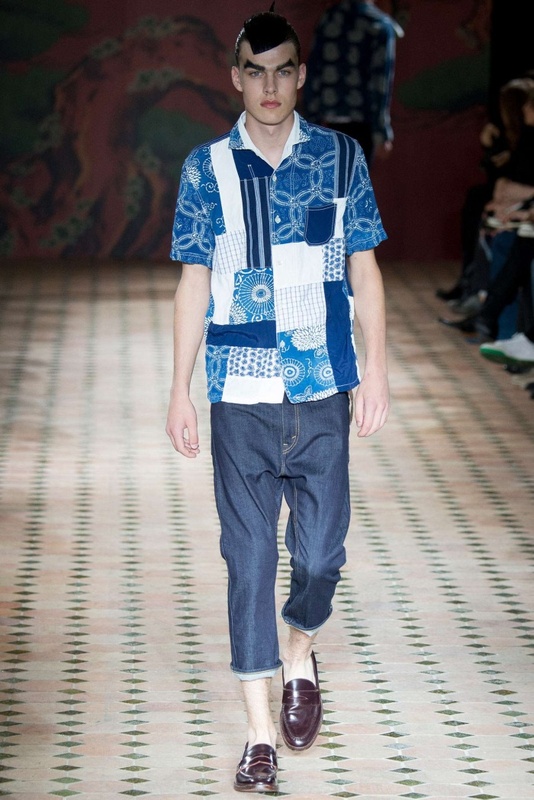 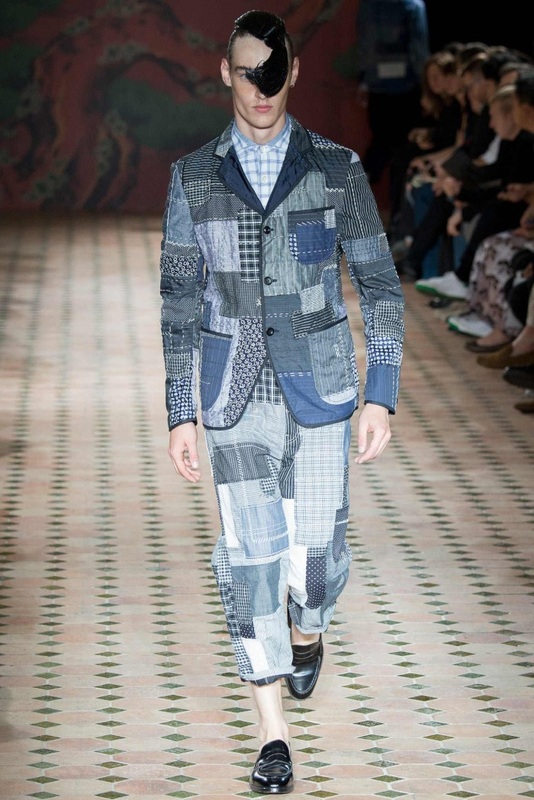 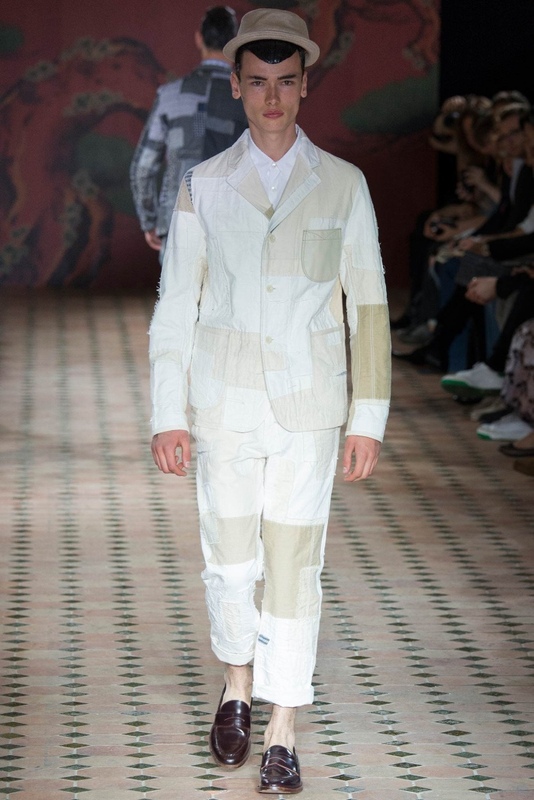 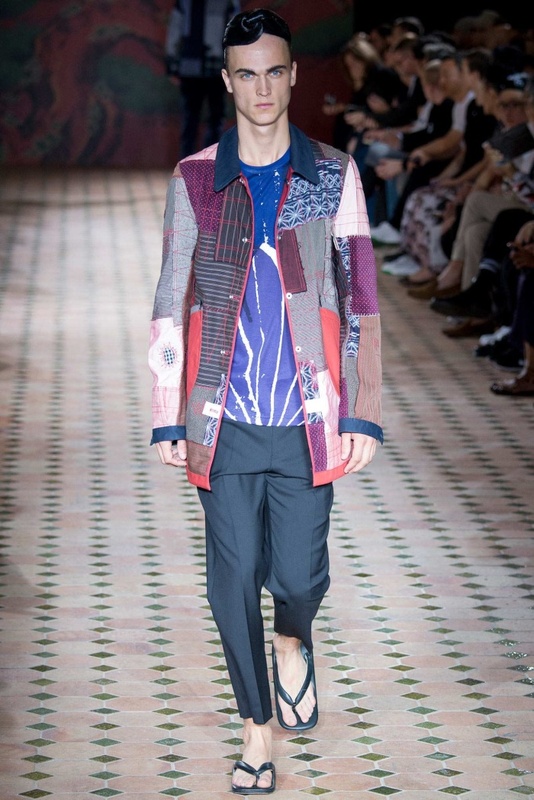 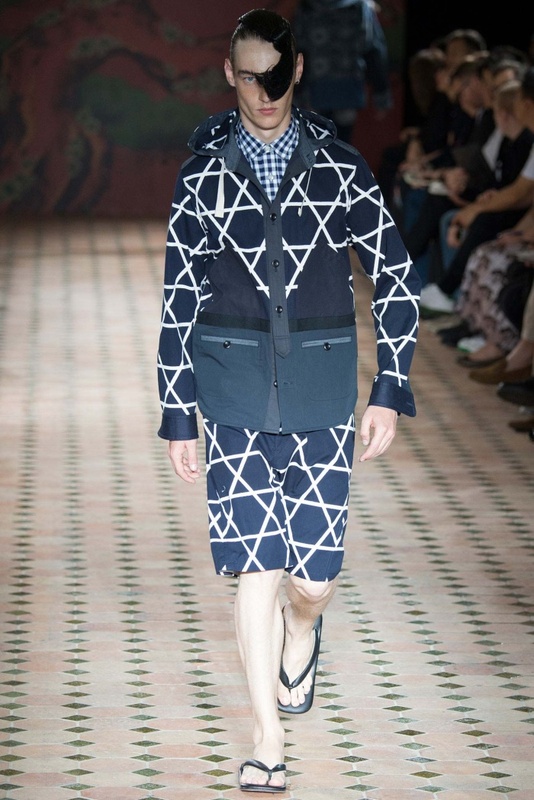 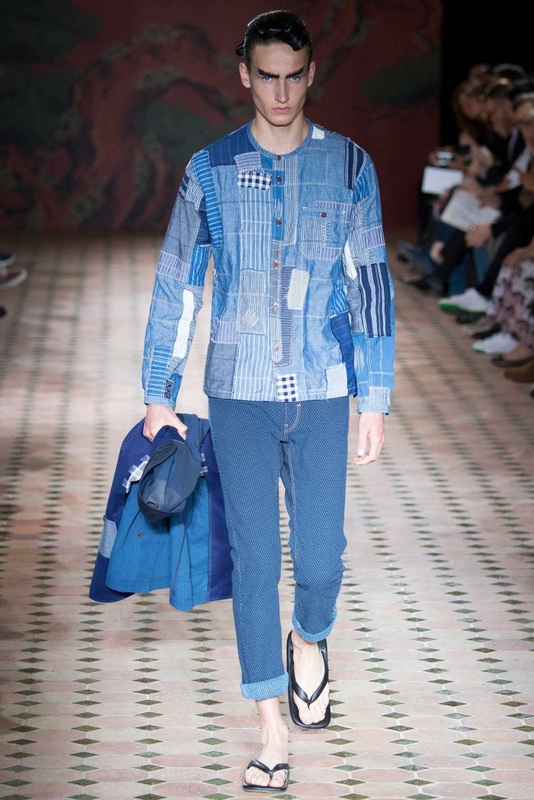 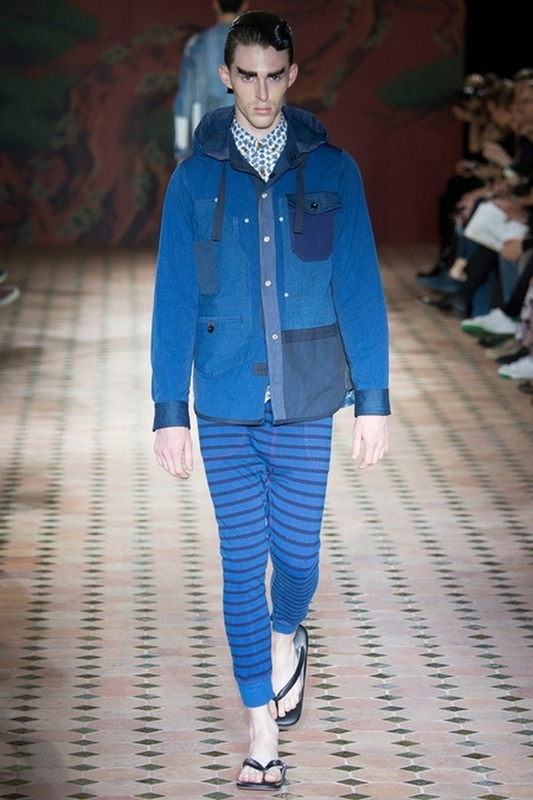 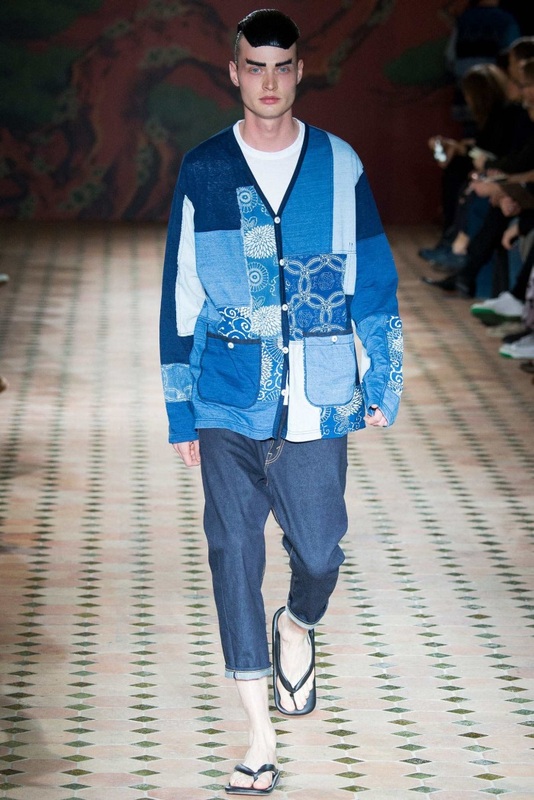 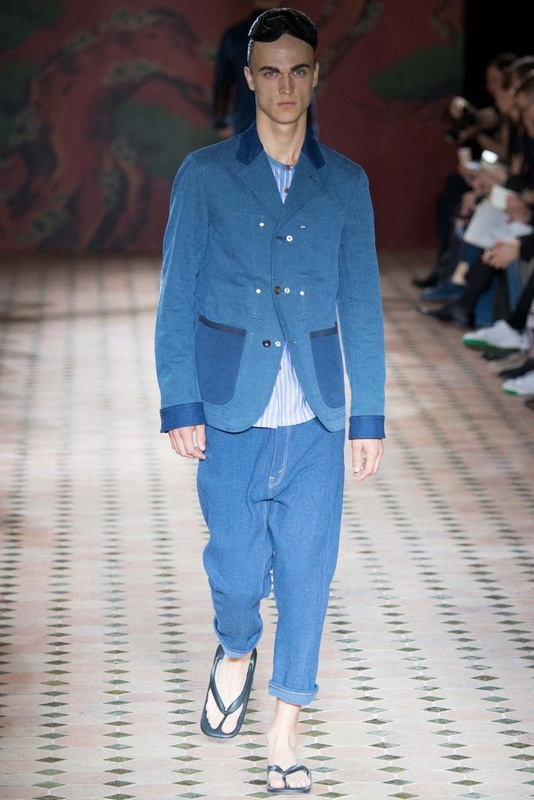 For the Junya Watanabe S/S ’15 Men’s Looks we are in for lots of fun with all those patchworks and detailed denim pieces. 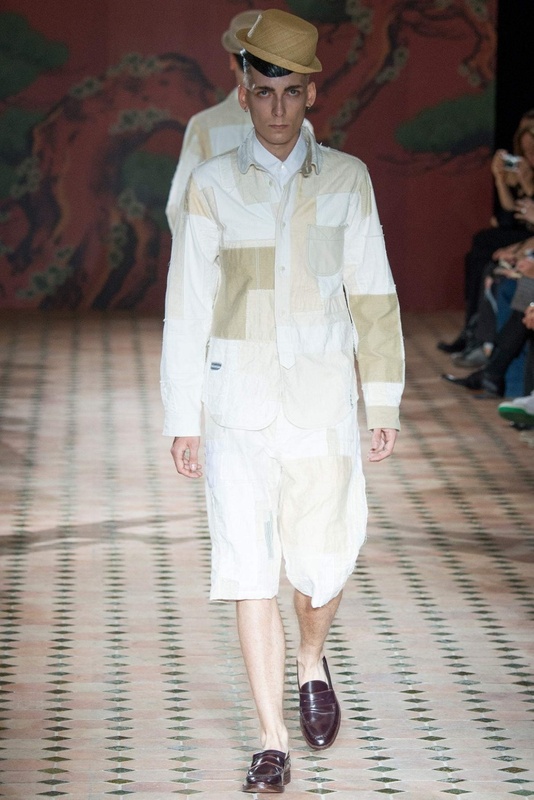 Japanese designer, Junya Watanabe, presented his forthcoming Spring/Summer 2015 collection as part of Paris Fashion Week. 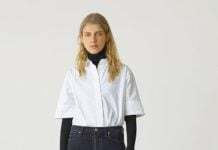 As expected, the designer didn’t stray from his love for denim or his slouchy and cropped jeans decorated with leather pockets, hobo patches or sashiko stitching for spring. 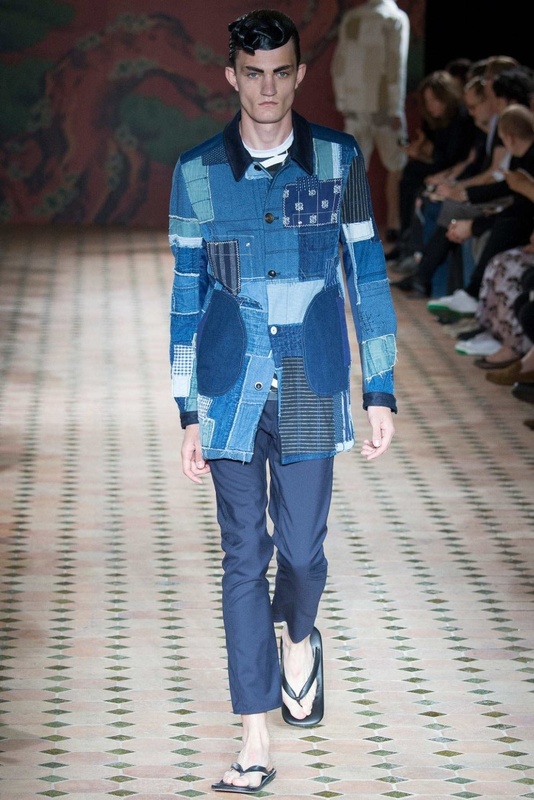 For his trademark patchwork jackets, Watanabe employed plain cottons, ticking stripes and folksy florals on trim blazers, jeans jackets, cardigans, and his beloved reversible Field & Stream styles with their utility pockets and snap closures. 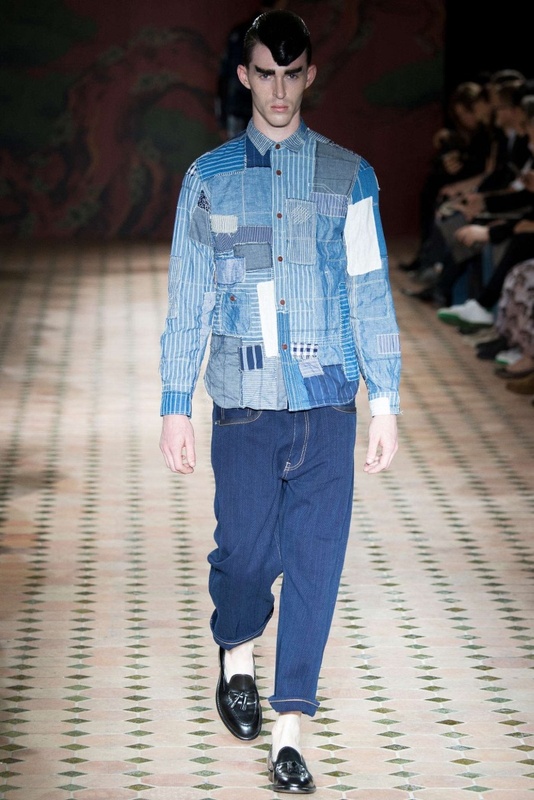 As you could already see in my preview, this coming summer 2015 is going to be about patchwork for the guys. 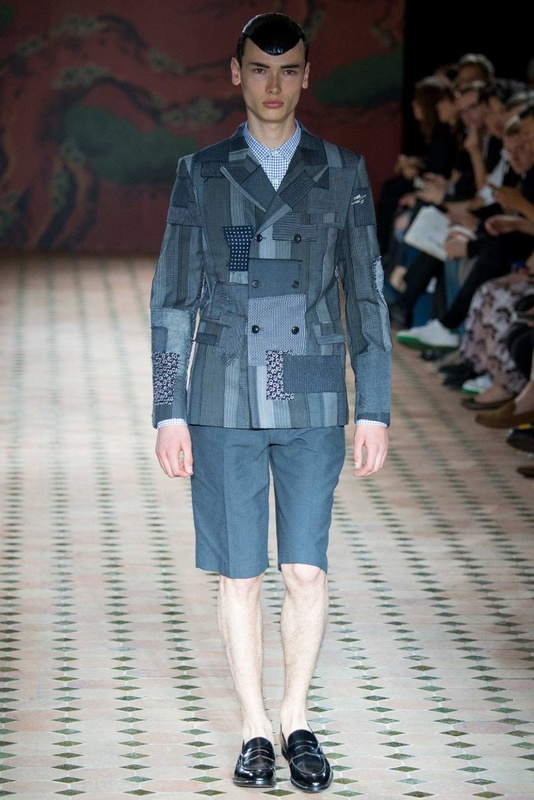 As with most of the runway shows, of course, these looks are kind of exaggerated. 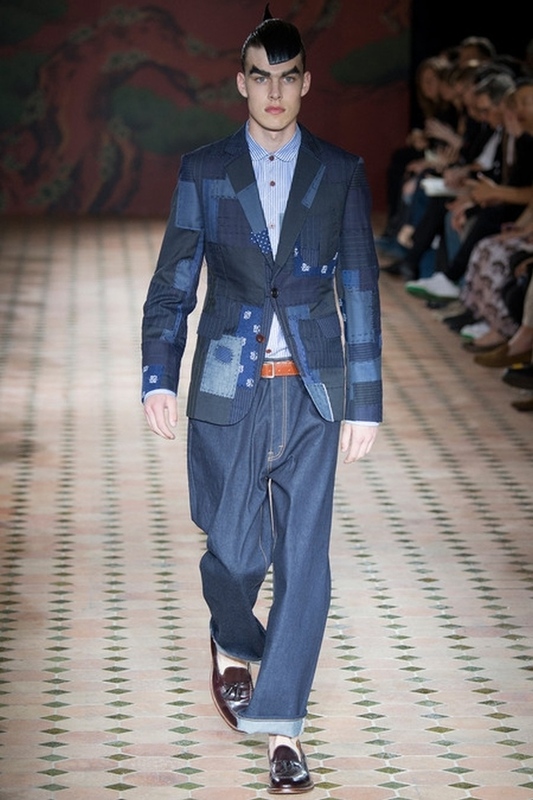 I doubt very much that any guy would be wearing a patchwork jacket paired with patchwork jeans. 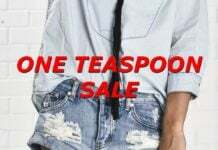 Most likely it will be one OR the other. 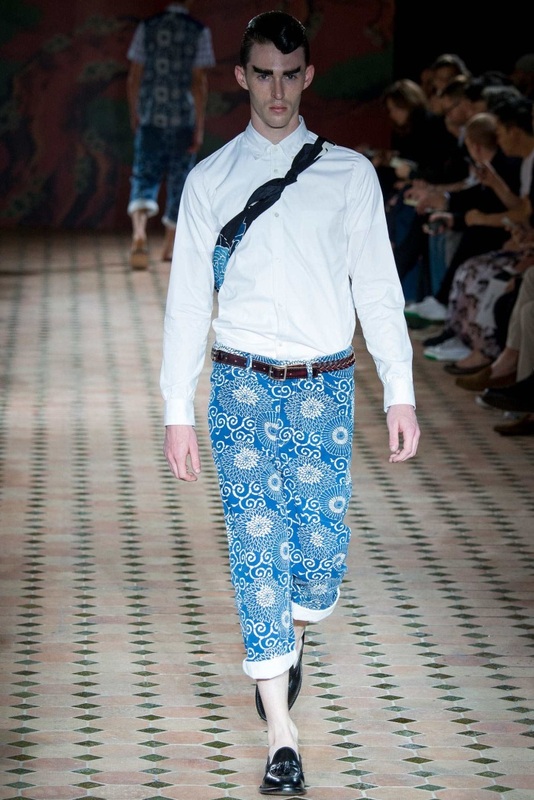 Just curious, what do you think – is it a yes way or no way? 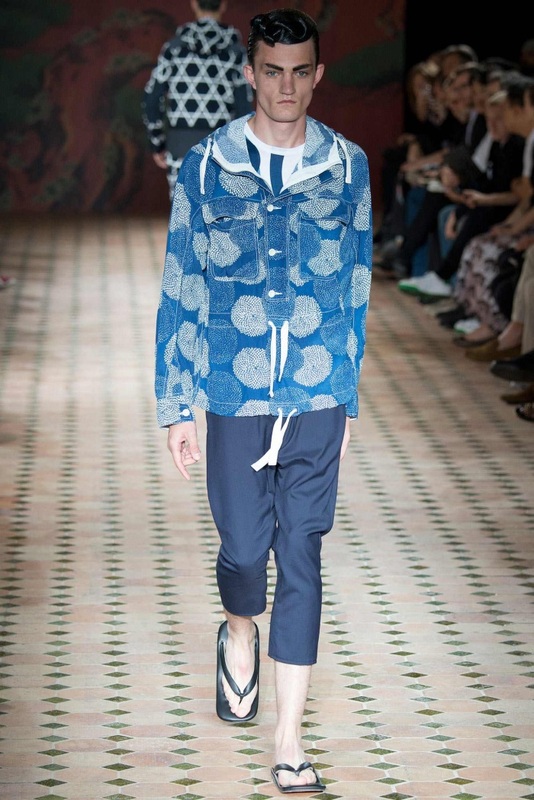 You can purchase Junya Watanabe items from this year’s collection here.